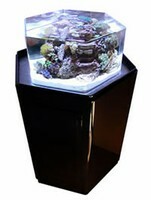 Advanced Aquarist Online Magazine is proud to bring you the Product Showcasecolumn. This column is intended to showcase manufacturers’ new products.Our goal is to expose our readers to new products they may otherwise neverbe aware of. 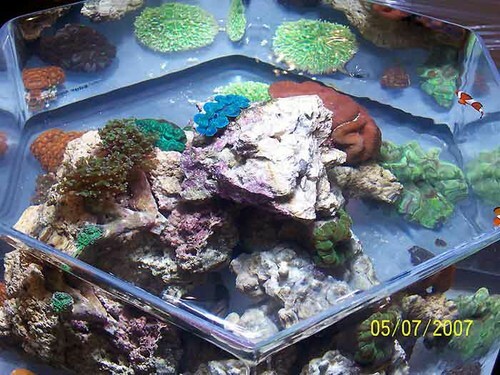 Please note: The content of these product showcases is solelyprovided by the manufacturer and is not peer reviewed by our staff.Advanced Aquarist Online Magazine is not responsible for the accuracy of thecontent or veracity of the manufacturers’ claims. If you are a manufacturer or distributor interested in showcasing newproducts to our global readership, please contact len@reefs.org for moreinformation. The sump/filter system is a work of art and just as well designed. The sump /filter system is split in half. 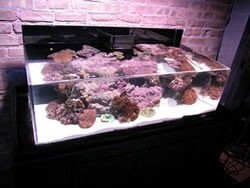 The front portion uses a simple ‘Berlin method’ sump style having plenty of room for a protein skimmer. 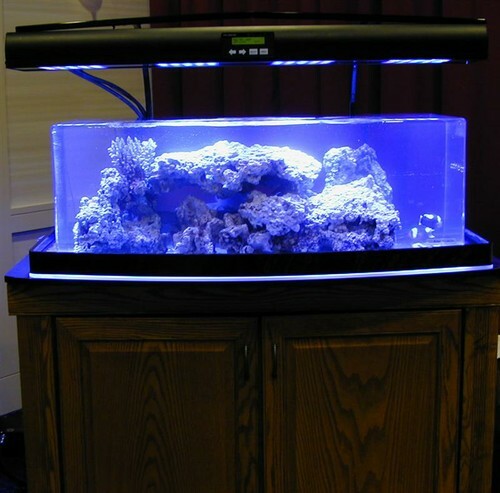 This side maintains a 5-6″ water level, which is perfect for most protein skimmers. The back, separated by a black wall is where the integrated refugium, filter and chemical /media chamber areas are. Far left and right are the drain / bubble trapping pockets which are split to allow for feeding the refugium area and media areas. This separation of the drain areas provides a slower flow of water thru the refugium section, which helps to keep the organisms in the refugium from being washed away. 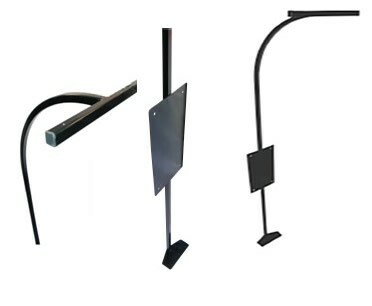 This patent pending freestanding steel light stand allows for hanging lighting fixtures over an aquarium. It eliminates having to hang your fixture from the wall or ceiling. 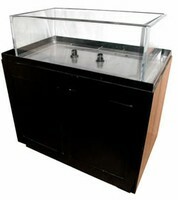 It’s sleek design and gloss black powder coat durable finish compliments any aquarium. The removable footpad rests on the floor, taking the weight off the aquarium stand or cabinet. The flat mounting plate attaches to the back of most cabinet stands. Should you want to mount this on the wall, simply remove the footpad. It is adjustable in height from 45” to 72”. The removable heads are available in 8″, 12″, 24″ and 36″ lengths to fit most lamp fixtures on the market today. Fixtures 48” and larger require the larger model of the same name.